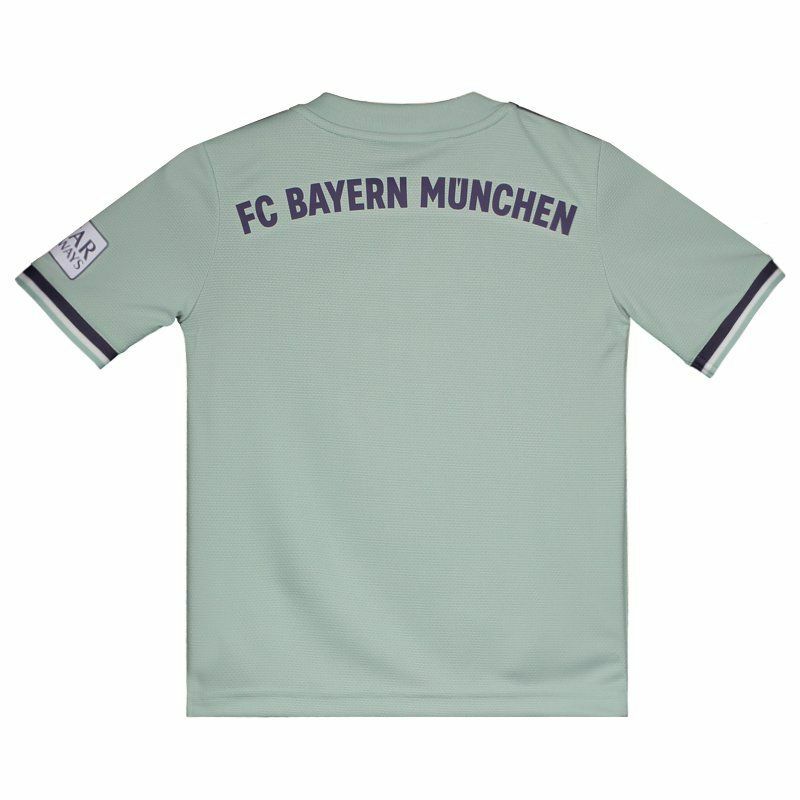 Developed by Adidas, Bayern Away Kids Jersey for 2019 is the right request for young fans to show their love for the Bavarians. The piece is made of recycled polyester, features Climalite® technology and offers name and number customization. More info. 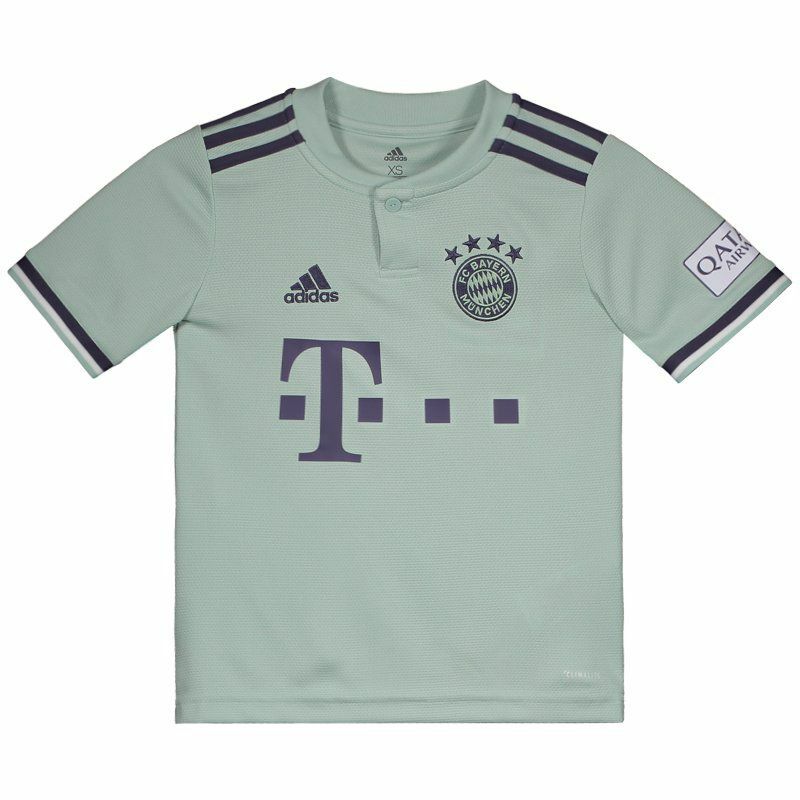 Developed by Adidas, Bayern Away Kids Jersey for 2019 is the right request for young fans to show their love for the Bavarians. The piece is made of recycled polyester and features Climalite® technology, a highly breathable fabric, which wicks moisture away from the skin for quick evaporation, resists pilling and has an anti-microbial function. The mantle is predominantly light green and features white and purple trim. This tonality is seen in the handle of the sleeves, which in turn, contains corrugated finish. The purple color still appears on the traditional Adidas stripes, located on the shoulders. In addition, the team badge is seen embroidered on the left side of the chest, just as the logo of the supplier mark is present on the opposite side. Complementing the details, the shirt has a crew neck collar with buttoning and presents sponsorships throughout the composition. Finally, just below the nape, the team's name is present.